They seem to make unusual exhibition bedfellows: a pair of Tiffany Studios’ lampshades and an eclectic assortment of Staffordshire bear jugs, owl jugs, and candlesticks. On the one hand, the “Grape” and “Dragonfly” lampshades, on loan to Treasures on Trial from the Neustadt Collection of Tiffany Glass, are beautiful examples of glass objects: rich in color, intricate in composition, and stylish in design. On the other hand, the Staffordshire objects from Winterthur’s own collection, donated by their original buyer Henry Weldon, are by comparison far more simplistic, if not without their own charm. It is hard not to be drawn to the family of earthenware and stoneware bears that inhabit the back cabinets of the Proof section of the exhibition. Their eyes comical and alert, ears pricked upright, and mouths agape; they are at once bears in a state of both joyous optimism and content repose. Therefore, what these objects share is not their function, their aesthetic, nor probably even their user, but rather they have all had their authenticity called into question and been exposed as fakes and forgeries through the use of modern microscopic and instrumental analysis in tandem with more traditional connoisseurship. As Treasures on Trial teaches us, techniques such as X-ray fluorescence spectroscopy, fourier-transform infrared spectroscopy, and X-ray diffraction have become important tools in a curator’s arsenal to understand the material composition of objects and validate their authenticity. For the Tiffany lamps and Weldon’s Staffordshire bears, scientific analysis and connoisseurship worked together to ultimately prove that these objects were not genuine. For collectors and curators, connoisseurship is often grounded in opinion rather than fact, resting on a broader knowledge of the field of objects and an assessment of style and technique to differentiate the possible fake from a field of established and documented genuine objects. In many cases, it is connoisseurship that provides the first question and leads to a more thorough investigation. 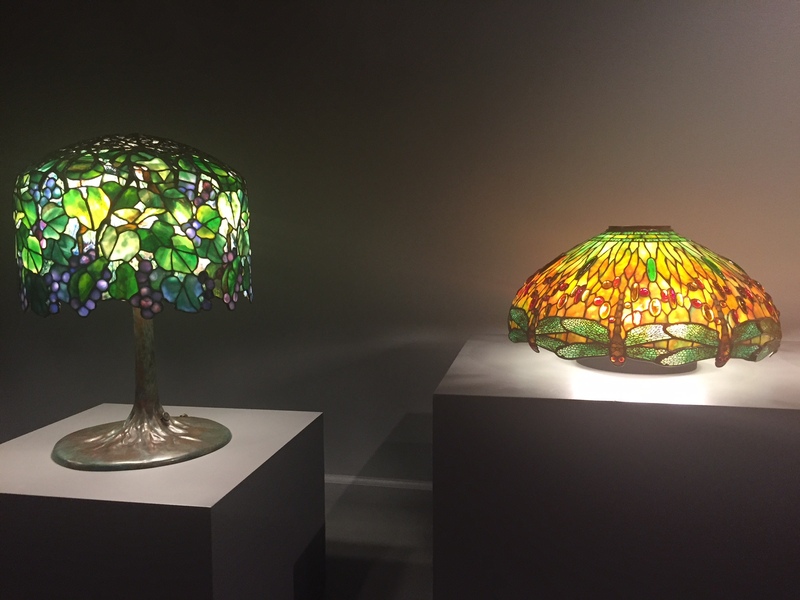 For both the “Grape” and “Dragonfly” lampshades, curators were able to compare the distinctive coloration and quality of glass, the skill of soldering, and the quality of the casting of the bronze bases to many examples of known Tiffany glassware. Meanwhile for the bear jugs and other items of supposed 18th-century pottery, including the owl jugs and candlesticks as well as a candelabrum, teapots, and coffee pots, collectors have a truly extensive back catalogue of examples to make comparisons against. While it was alleged that the faker of the bear jugs and other pieces had used 18th-century illustrations to manufacture these fakes, it was their very uniqueness that first roused suspicion. No genuine surviving examples of such bears are known, and hence if these were genuine, they would be extremely rare. Collectors were also struck by the similarity in form and technique across the different examples of what is now known to be fake earthenware, suggesting that the fakes were produced by an individual craftsman. The suspicion of collectors was not enough to prove indisputably that the lamps and bears were fakes, and in the case of the bears, it was certainly not enough to level a case against the seller of the items. For the earthenware bears, thermoluminescence analysis dated their production to the 20th century. 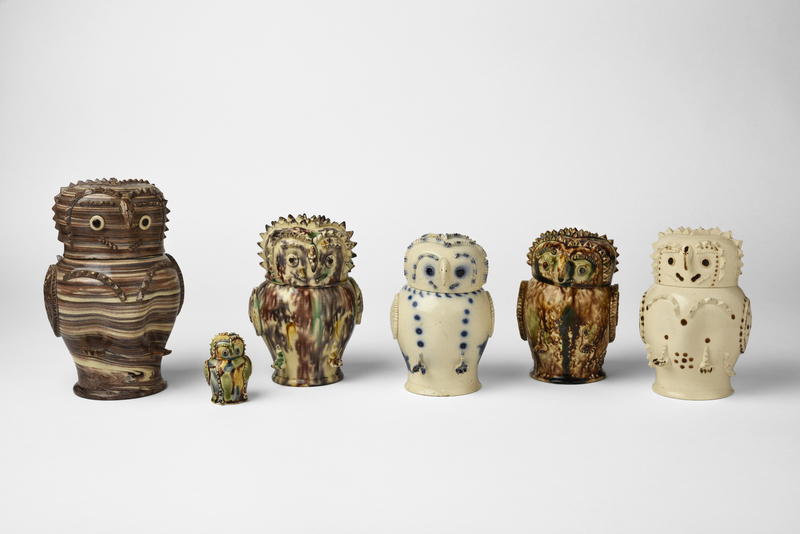 In addition, the work of Pat Halfpenny, former curator of ceramics at Winterthur, compared the objects against a large sample, creating a two-part case for their fakeness. Despite the combined scientific and curatorial expertise applied to these objects, the courts were still unable to convict the man who sold them to the Weldons in 1992 as evidence of their inauthenticity did not prove that the seller knowingly sold fakes. While the opulence of the 175 rooms at Winterthur are a nostalgic and charming window into both the culture of a time gone by and the unique collecting habits of H. F. du Pont, they should not conceal the cutting-edge, scientific object research that the institution also houses. The Tiffany lamps and the Staffordshire bears are among the most exciting, but by no means the only objects, which point to the important collaboration between curators and scientists in modern museum life. This entry was posted in art collections, art fraud, Ceramics, Decorative Arts, exhibition, Exhibitions, forgery, fraud, galleries, Glass, Treasures on trial, Uncategorized and tagged antiques, art fraud, earthenware, fake, forgeries, H. F. du Pont, Neustadt Collection, stoneware, Tiffany, Tiffany Studios, treasures on trial, Winterthur Museum Garden & Library. Bookmark the permalink.